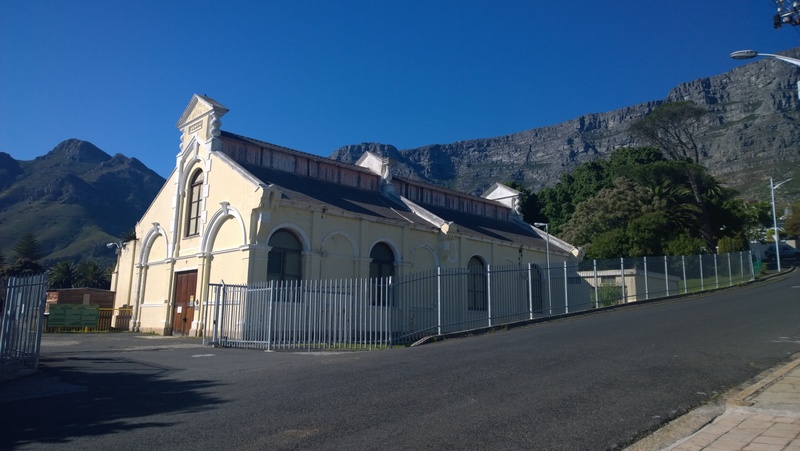 Ava wrote to me that David Graaff is making a massive impact as major of Cape Town. The Graaff Electrical lighting works at the Molteno Dam. There used to flow a river from Platteklip Gorge on Table Mountain, all the way to the sea. 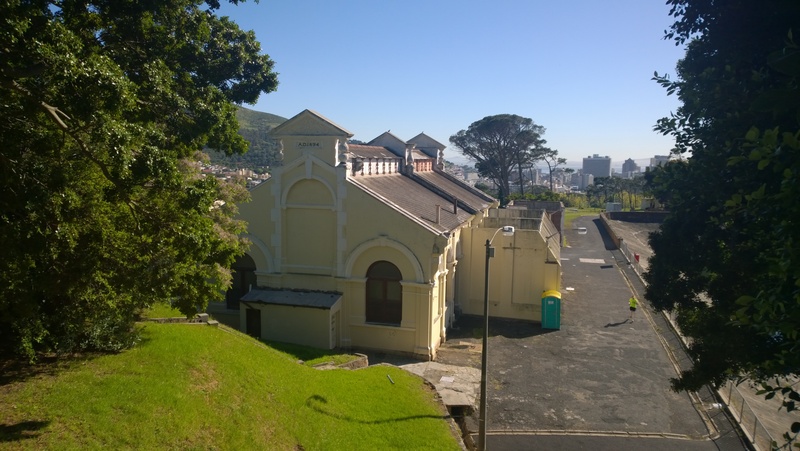 Jan van Riebeek build the VOC Castle right next to the mountain river due to the strategic importance of the water. The reason for the creation of the VOC post at the Cape of Good Hope was to sell water and food to passing ships. Personally, both Ava and myself have always disagree with our city fathers. It would have been a much better plan to have kept the river in tact and undisturbed. I fear we have lost an important feature of the land forever. I will bring up with David when we meet in the new year, the conservation of the natural land. It has been confirmed by both Oscar and David that they will travel on the same steam ship to London and then to Denmark during February 1892. Waterfall that became the mountain stream that ran from Platteklip Gorge to the sea. Now, into the Malteno Dam. I am glad that they will be discussing refrigeration since this single invention has the most profound impact on curing bacon as it has on all meat production, processing and trade. The fact that meat can be frozen or chilled is of huge importance to the curing of bacon. I see this being applied successfully here in Denmark to the extent that I have wondered how it would be possible without it in Cape Town. 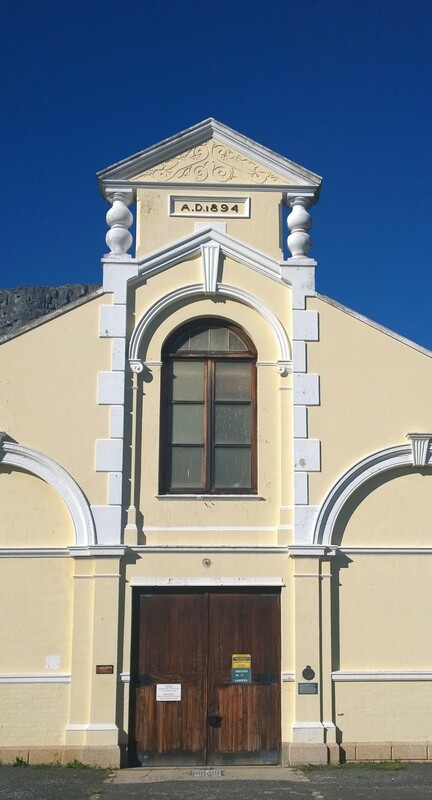 The fact that we presently do not have electricity in Cape Town and therefore do not have refrigeration plants explains to me on the one hand the heavy salting that David has practiced at Combrink & Co of local bacon and on the other hand gives a time frame for the start of our own curing plant. We can not do it before David has constructed the electricity plant at the Molteno dam. Refrigeration, as Oscar and I discovered, will allow us to cure bacon in warm climates such as we have at home of the same quality as it is done here in Denmark, in Germany, Holland and England. The colder the meat and the brine, the better we will be able to control the growth of bacteria and the meat will not spoil before it has cured through. Recently science started to identify the effect on bacteria of not just temperature, but also of light rays from the violet range of the spectrum, food, oxygen, dilution and antiseptic substances. I have a profound sense that these discoveries will impact on how meat is packaged and sold in the future. The fact that there is a lag time in bacterial action (slow acceleration) have by itself important lesson for bacon processing apart from the consideration of temperature on bacterial activity. It means that meat must be progressed through the various stages of production at a well-controlled and pre-defined rate that will ensure that no stage takes any longer than it should in order to prevent bacteria from “settling in.” Any step must utilize the “lag time” fully and be progressed before maximum acceleration takes place. The Harris family’s bacon empire from Great Britain saw the benefits of refrigeration even before refrigeration plants existed. They applied the principles and benefits of cold to bacon production since the time when ice houses existed. Andreas has spend some time with them in Calne and knows the family well. He has great stories of the Harris brothers and how their business and processes developed. In the mid 1700’s pigs were being imported from Ireland by ship to Bristol. From Bristol they were walked to London. The small village of Calne was a convenient stop over point on the walk. From Cook County Herald, Friday, 29 Nov 1907. The development of refrigeration and the subsequent revolution it brought about in the meat industry was in the air well before the end of the 1880’s. In fact, so many experiments were being done in the 1870’s and early ‘80’s (Critchell, JT, 1912: 4) that it will take a long and cumbersome book to try and chronicle any more than what I have given you in my previous letter. What is of interest is that the supply of meat in England and on the continent has been overtaking supply during the mid 1800’s that made the development of refrigeration a national priority for the English and for European countries. Not even refrigeration in particular, but the need for preservation that would allow meat to be transported over long distances. (Critchell, JT, 1912: 4) Among many suggested ways to achieve this, refrigeration was only one of many options. Another option was of course curing and changing the meat into bacon, but this did not allow meat in its unprocessed form to be moved in large volumes between countries. If a way could not be found, through whatever means, to economically supply England and Europe with meat from the new world of the Southern Hemisphere, the people of England and Europe either had to learn to be content with less meat or pay much higher prices for it. (Critchell, JT, 1912: 4) Loosing frequent meals that included meat was not just the loss of desirable food, but would seriously hamper the efforts to combat starvation and hunger. Refrigeration was by no means the obvious solution. 200 patents were registered for the preservation of meat. (Critchell, JT, 1912: 5) I list some of the important ones here. “Mr. Mort was born at Bolton, Lancashire, on December 23, 1816, emigrating to Australia in 1838, and later founding the great financial and wool-broking firm of Mort and Co.
Ltd., under the name of Goldsbrough, Mort and Co., Ltd. As early as 1843 Mr. Mort turned his attention to meat matters, and was later introduced by Mr. Augustus Morris to the French engineer Nicolle. The pair took up the subject of freezing meat for export, and experiments were conducted. Mort supplying the capital and Nicolle the engineering skill. Partial freezing, “chilling,” Telh’er’s plan, was tried and rejected, as it was soon realized that thorough congealing was far preferable for the proper preservation of meat. Mr. Mort in 1861 established at Darling Harbour, Sydney, the first freezing works in the world. Thirteen years later Mr. Mort’s company became the New South Wales Fresh Food and Ice Co. The original freezing process at these works was applied in two large apartments, each about 75 feet square and 9 feet 9 inches high, and enclosed by brick walls 4 feet 6 inches thick. The freezing room below was used for the treatment of meat for export. In 1875 the collateral enterprise, the slaughtering works at Lithgow Valley, Blue Mountains, was completed : the two establishments were intended to supply the Sydney market. Ammonia compression refrigerating machinery was used at these works. At an inaugural lunch on September 2, 1875, at which 300 persons attended Mr. Mort made his famous speech, the peroration of which stands out as a white stone in the annals of the Australian meat trade, clearly showing him to have been a man of imagination, noble aims, and high character. Here is an extract of the visionary speech by Mr Mort. These monumental developments would shape the way bacon is being made and priced. Frozen meat will at some point be used as raw material. After smoking the meat will be frozen to prepare it for slicing. Freezing will alter the characteristics of bacon and add to the complexity of how bacon is created. Freezing solved the matter of the long term preservation of meat, but proved another point. In our effort to preserve meat we have developed a products of such supreme quality and taste that it will be part of human culture for as long as humanity will prevail. Bacon, with its reddish/ pinkish fresh meat colour and distinct taste; its subtle saltiness in the case of quality bacon and smokiness in the case of smoked bacon; its inherent ability to withstand bacterial spoilage. Its meatiness. All work together as characteristics of one of the greatest products on earth. I am preparing a letter to Oscar and David Graaff where I intend setting out the exact impact that can be expected from freezing upon meat. Understanding this will be of the greatest importance to both our bacon operation in Cape Town and Davids cold storage. How is the rugby going Mr Tristan? I hear from Ava that you intend going to Rondebosch boys high for high school. 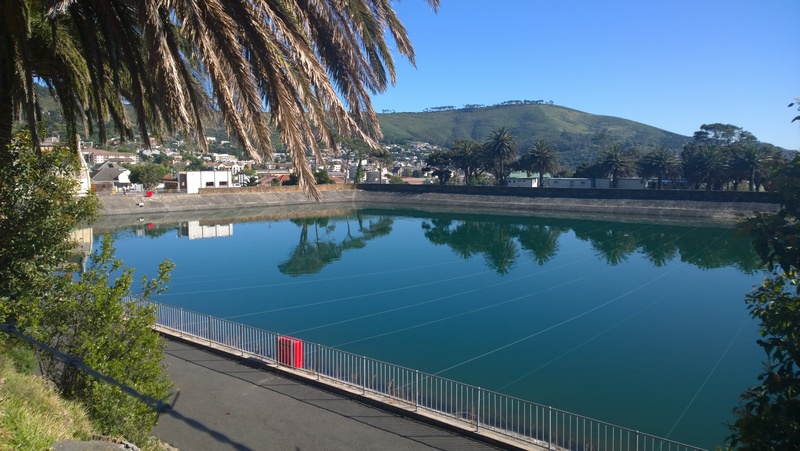 It is an excellent suggestion even though I would have chosen Wynberg Boys High. The decision is however yours my son! I continue to miss all of you dearly! 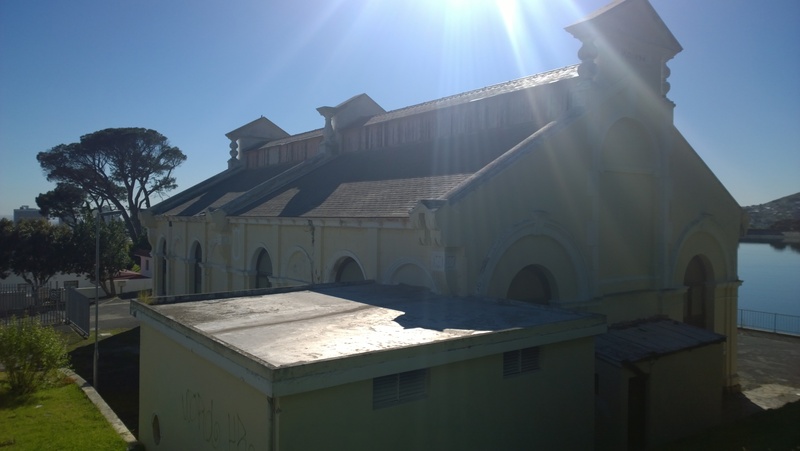 (1) The Graaff Electrical Lighting Works, constructed at the Molteno Dam was commissioned in 1895. 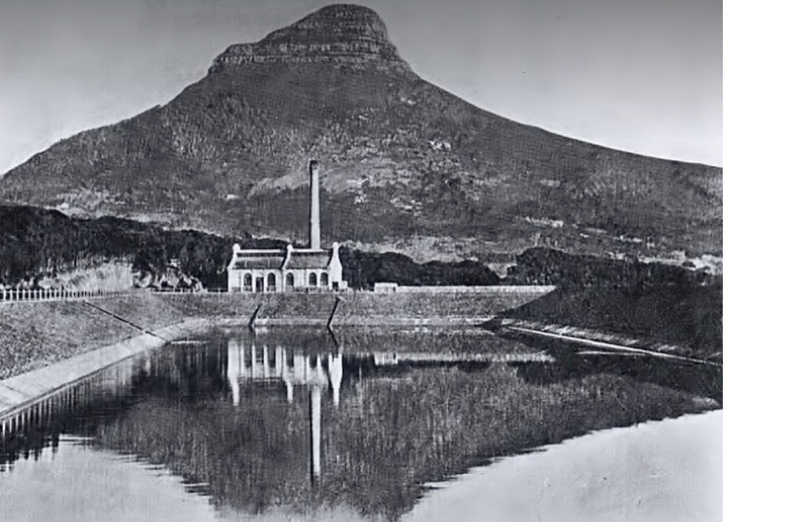 It was Cape Town Municipality’s first power station. It was able to run on steam (the chimney stack has since been removed) as well as water. 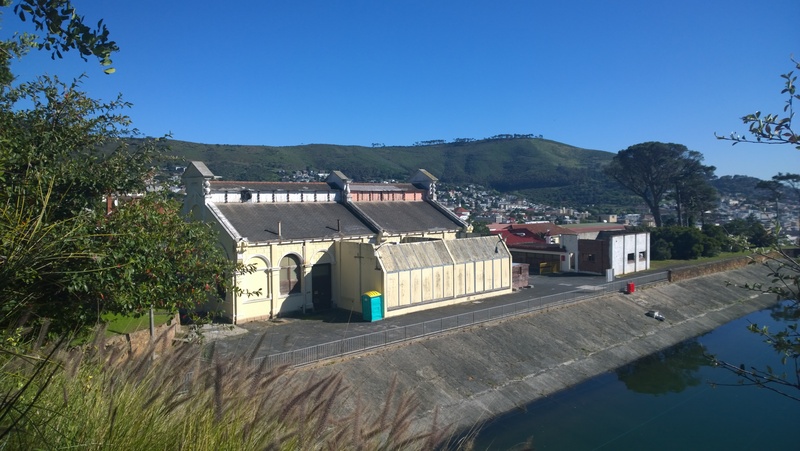 It was the first hydro electric station in South Africa. (5) This method of creating “meat replacements” has gained wide popularity in the early 2000’s. So much so that the Woodys Team has put it on their list of long term trends to watch. Hui, YH, et al. 2004. Handbook of Frozen Foods. Marcel Dekker Inc. 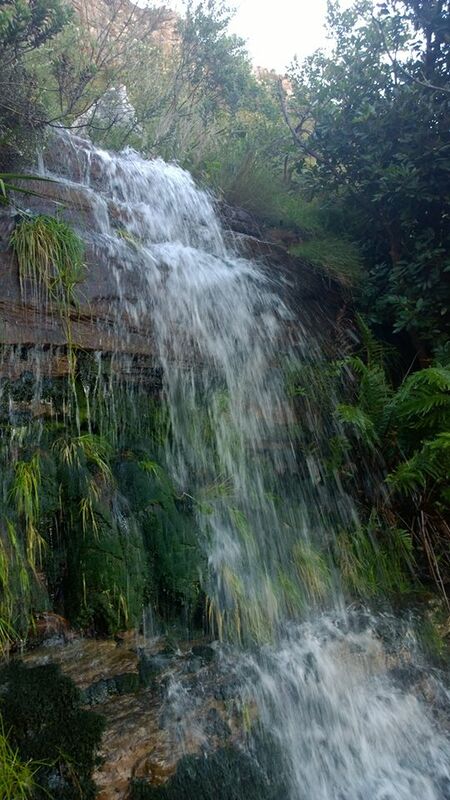 Figure 2: Waterfall on Platteklip Gorge by Eben van Tonder in 2014. Figure 4: Cook County Herald, Friday, 29 Nov 1907.